Over the last few years, we have seen some exceptionally beautiful and rare colored diamonds. Natural diamonds come only once in a million in a color that is a true beauty. 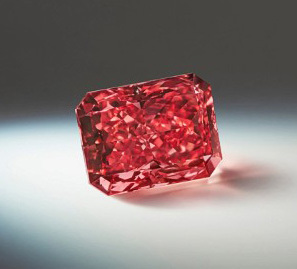 That rarity and beauty make these diamonds fetch very high prices in auctions by collectors. That may not sound that big, but the rarity is what is the key factor. The stone is "half the size of a one cent coin, but I expect it to sell for over $10 million," said Tobias Kormind, Managing Director of 77Diamonds.com, Europe's largest online diamond jeweler. by Editor, posted Jan. 04, 2018.
by Editor, posted Oct. 08, 2017.
by Editor, posted Sep. 13, 2017.
by Editor, posted Sep. 12, 2017.
by Editor, posted Sep. 06, 2017.